Green-fingered experts are coming together to help amateur gardeners grow something special for the Home and Garden section at this summer’s Moreton Show on September 2. 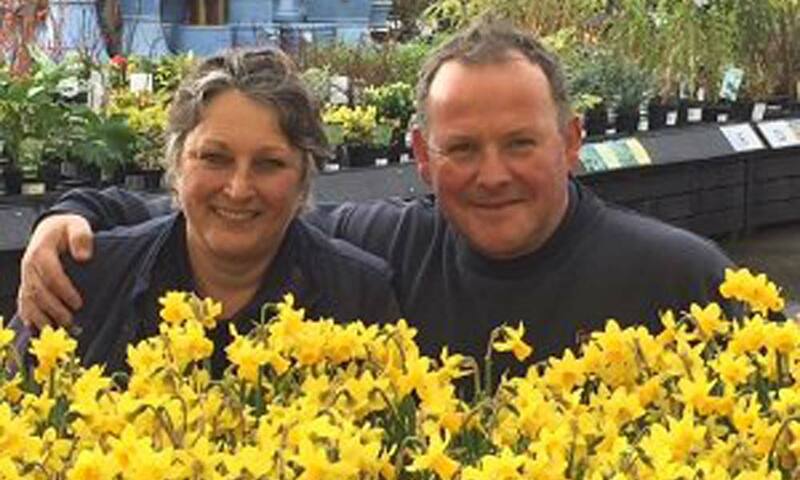 Leading the way will be Chris Small, from Stow on the Wold, a prominent local grower and judge, who will be passing on his expertise between 11am and 3pm on Easter Monday at the Fosseway Garden Centre in Moreton in Marsh. Chris is chairman of the Stow on the Wold Allotments Association and is team leader of the vegetable section at Moreton Show. The aim is to demonstrate that even gardening newcomers can grow and prepare fruits, vegetables and flowers for events like Moreton Show. There will also be lessons on sowing seeds and building an entire garden in a seed tray. Jayne Homer, Plant Manager at the Fosseway Garden Centre, said: ‘We’re calling the workshop Moreton Show? Have a Go! ‘We want to show people that even first-timers can succeed and grow something special. People may think that putting their produce on show is intimidating but it really isn’t. It’s not an elitist thing at all. With the growing season upon us, it is also time for youngsters to enter the Moreton Show Potato in a Pot competition. For a 50p donation, they can collect a seed potato and a 10 litre pot from the Fosseway Garden Centre until April 24. They then plant their potato in soil or compost and care for it until show day on Saturday, September 2, when stewards will empty the pots and weigh each entry in public. Moreton Show is one of the biggest one-day agricultural shows in the country and there are plenty of classes to get involved in. Details of all the classes to enter in every section are available on the Moreton Show website at www.moretonshow.co.uk.